Fútbol in Argentina (what Americans call soccer) is not all fun and games. In fact, more and more frequently, the games represent big money on several levels to groups vying for power. This is no truer than with the Boca Juniors, Argentina's most internationally known professional team. The team's fame is only matched by its fans raucousness. The elite fans, nicknamed "La Doce" as in "the 12th" player (because of their loud and distracting presence), have an entire section devoted only to them. Because of the team's popularity and large fan base, getting Boca tickets is no easy task. If it seems too easy, you might have gotten scammed. Most AFA (Argentinean Football Association) stadiums offer public sales of tickets a few days before the game. Unless you are a member of the Boca Juniors club, you'll likely have to get tickets through one or many middlemen. The problem? 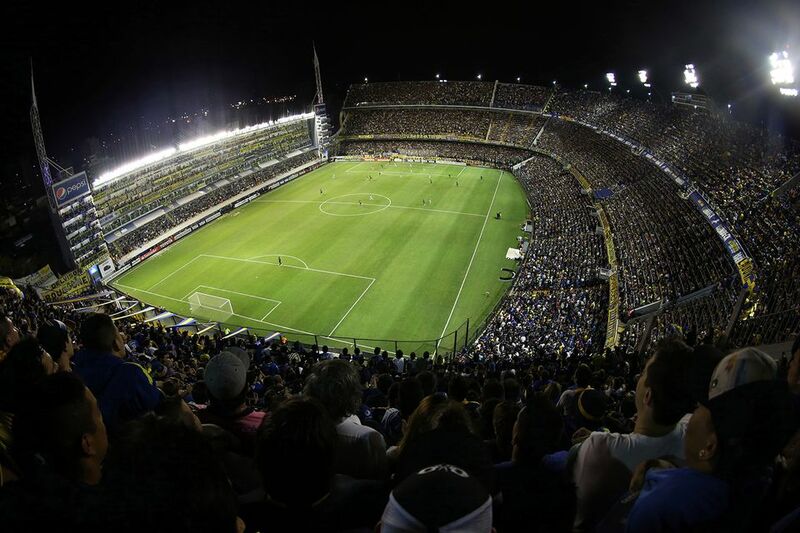 There are only 49,000 seats in the famed La Bombonera stadium in La Boca. Cheaper tickets are sold through the team’s fan base (or hooligans) as a reward for their energetic displays and loyalty. These fans, in turn, sell tickets to their friends, or friends of friends, then to hostels, hotels, and tour companies with the price going up at every turn. Finally, they find their way to you. Boca Juniors tickets are simple, thick paper in the shape of a card or subway pass with a magnetic strip on the back. They are very easy to forge, and the number of counterfeit tickets is increasing. Know your sources well—even hostels have ended up with fakes. Founded by American Jed Rothenberg, Landing Pad BA is a hub of information for tourists and ex-pats that also offers concierge services, tickets, and tours. A variety of tours covering art, food, tango, wine, and sports are offered as is attendance at a Boca Juniors game. It has taken Rothenberg several years to figure out the complexities of getting Boca Junior tickets and how to get people in and out of games safely, but so far the tours have been a success. Ticket to the famous "La Bombonera" stadium in a section across from La Doce. Watch them chant, drum, and go bananas during the game. When attending a game, dress simply and bring only what you need, including a camera to capture the event. Be aware that the Boca Juniors' team colors are blue and yellow and their arch nemesis's colors are red and white. **Please note that they offer refunds up until 48 hours before the game. If the game is postponed they will only offer a rain check. Prices may have increased due to inflation, check with LandingPadBA for current prices.